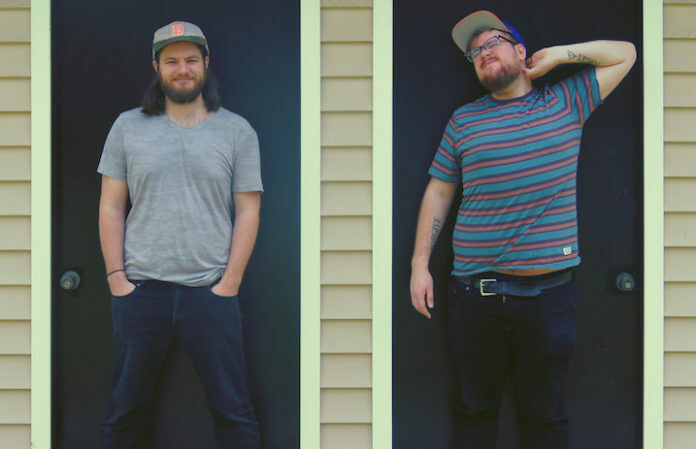 Following Warped Tour — and Reckless Serenade's break-up — the two ended up recording the entire EP in their apartment. And thus Broken Bellows was born. Reckless Serenade’s break-up might have led to a new project for Brent and Prinzi, one they’re clearly proud of, but the road to Broken Bellows wasn’t always an easy one. In our interview with them, Brent and Prinzi talk about the disbandment, the influences for the EP (Twenty One Pilots being one of them), how the name Broken Bellows came about and more. Who were your influences for the new EP? Cory Brent: There are always a million influences that go into things like this, but I'd say, sonically, Borns and Twenty One Pilots were definitely two of our bigger influences. Borns just has that huge sound to him, and I feel like that's something we've tried to capture on a few of our songs. Describe the EP in 3 words. What do you hope listeners get from this EP? Brent: We really hope that anyone listening to this EP can appreciate how different every song is track to track. I think we really messed with several different genres, and I think each song has something to offer to everyone. Why the name Broken Bellows? Will Prinzi: Broken Bellows was a lyric from a really old song of ours that never saw the light of day, though it has always been one of our favorites. It's all about overcoming challenges by finding the light in any situation, starting the spark yourself even though you're working with “Broken Bellows.” After Reckless Serenade broke up, there was some mourning going on, but we were also free to start our own project; and we found that through this new music, so much joy and inspiration came about, all from something being destroyed. So we really credit our whole existence as a band to that sentiment: an opportunity for a spark in any obstacle. Which song on the EP is the most personal to you? And how? Prinzi: The song “Waiting” is very personal to me, it came about in a time from last year when I was feeling very lost. For me, it’s about this strange feeling that something terribly important is missing from your life but you’re not entirely sure what it is, and it leaves you feeling incomplete and just… lost. It was just a moment of my life from the spring of last year, and I have since moved on, but it is forever captured in that song; it has a certain catharsis when I listen back to it, and I hope the same is true for others that hear it. Fill in the blank: If you like _____, then you’ll like Broken Bellows. Prinzi: If you like waking up and giving yourself a lil’ wink in the mirror with a finger-gun-while-making-the-clicky-gun-noise, then you’ll fer sher love Broken Bellows. You can preorder The Card Table EP here, and follow Broken Bellows on Instagram, Facebook, Twitter and their website.